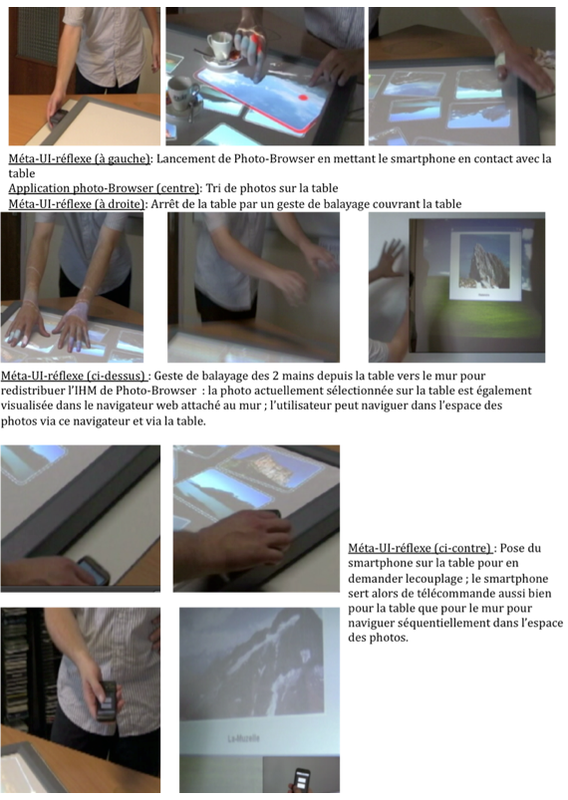 This video shows the implementation of a dynamically distributed user interface that includes a MERL multi-touch table, a gPhone as well as a wall-size interactive surface. This implementation uses the middleware WCOMP . It has been developed within the ANR CONTINUUM project. PhotoBrowser is also available on top of Ethylene, an in-house middleware.